AMC tasked my team at HUGE Inc. to do a complete overhaul of their desktop, mobile and web experiences. My role as the lead copywriter on the AMC project was to establish a new tone and voice for the brand and to rewrite/write every touchpoint throughout the entire site. I worked with every team member from UX to design to development to make sure AMC's copy was on point. 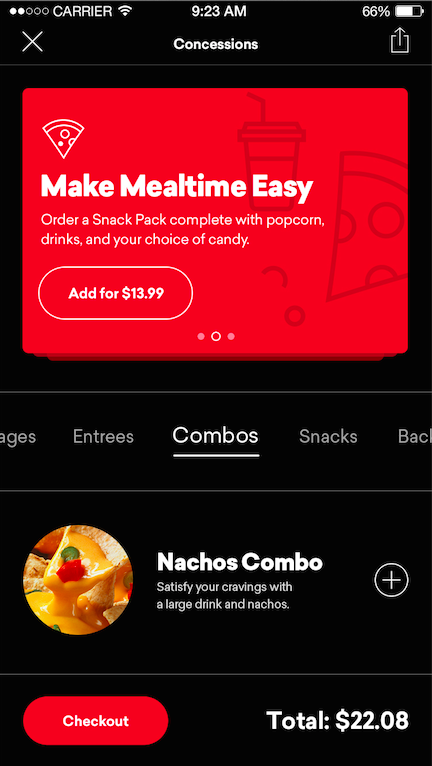 To date, this redesign has increased the AMC Loyalty Program by 10 millions members, and has increased mobile revenue growth by 50%. With the website design, we took a very modular approach which allows for fast-paced changes and plug-and-play access. 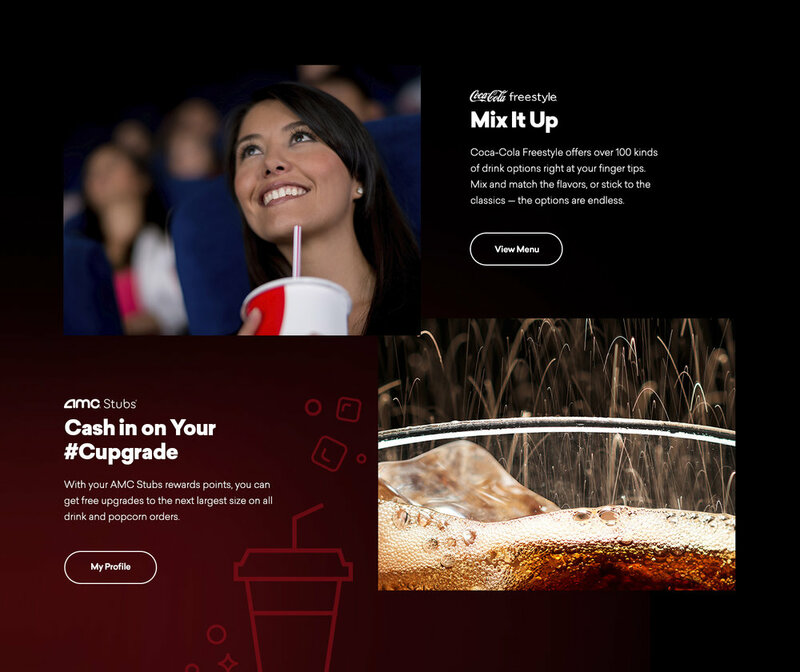 AMC has an ever-changing wide array of food, drink and movie options so this system works nicely with their business model. 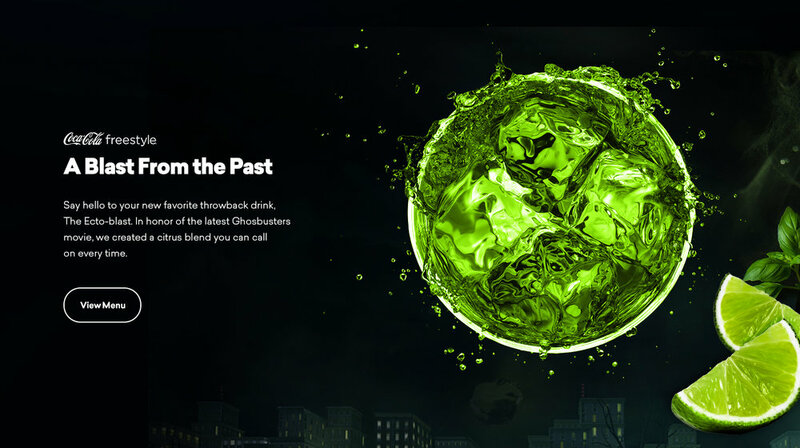 Fun and playful copy mixed with cinematic photography helped created the right tone and voice for this iconic brand. The mobile app is intended to be a place where AMC members can reap benefits and rewards of their membership. 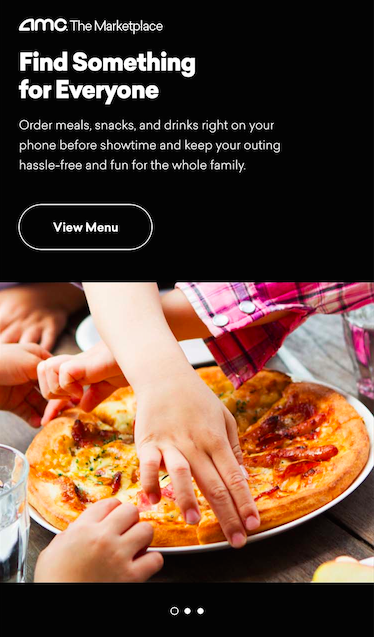 By incentivizing personalization actions, AMC is not only able to tailor experiences to better fit member's needs, but they can also ensure return engagement by rewarding these efforts with points to be used later on. These changes have helped increas their loyalty program by over 10 million new members.